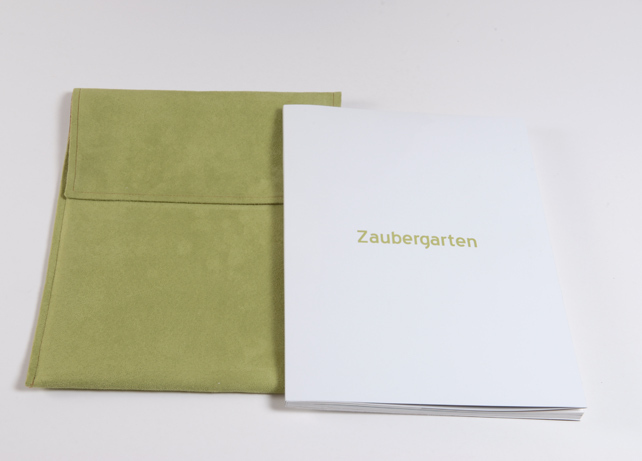 Zaubergarten is an artist book. It is born from the desire of the artist Charles Kalt editor to create a book or meets two modes of expression a priori that all objects. (Figurative drawings and programmatic abstraction in color). 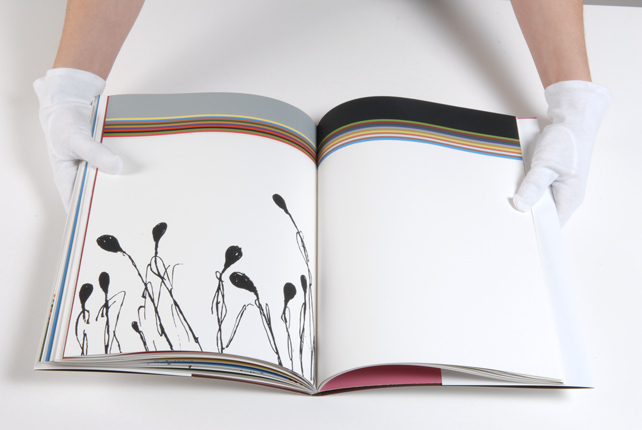 Knowing the work of Nicolas Schneider, Charles Kalt expressed the wish to acquire drawings "flowers" with the aim to put a proposal in relation to personal space in a book. 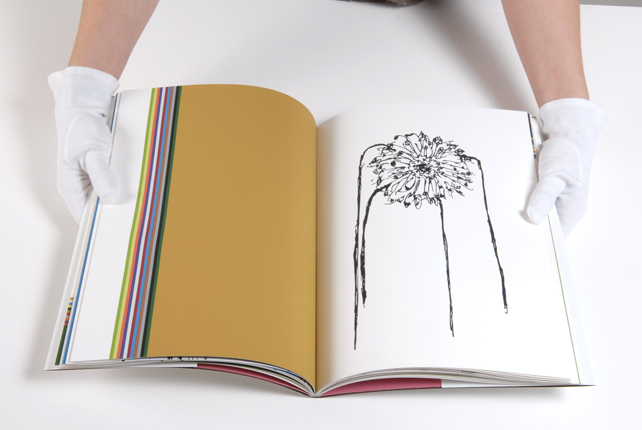 A series of eleven drawings black "flowers" are extracted from selected books. These designs have found their scales and are reworked by the author according to the space of the page. Vis-à-vis these images line and black, which are printed in the most simple expression of form, opposes a complex color printed solids. Twelve times twelve colors are printed in different orders and alternating. Whenever one of the color is printed at the bottom, on which eleven colors are printed side by side in overlapping edge to edge. This procedure affects the overall color depending on the dominant background. The result is to actually see 144 unique colors. Faced with an economy of means drawings, opposes a variety of colors finely and subtly modulated by the process. 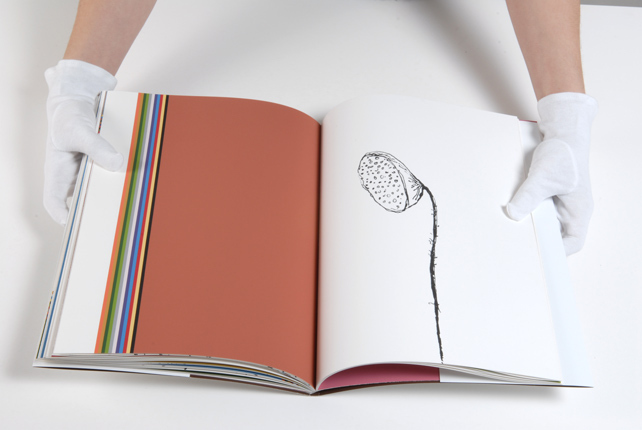 Available proposals is organized as colored in the space of the book based on "feelings" and colored drawings of their reports. This book is designed as an "stylistic exercise". The meeting of two worlds, creating abstract and figurative form. This form to find its correctness within the space of a book.